Lets Catch The Words From The Hearts! How important is it to be master of the art of judicious truth? This books answers this important question. It will be an amazing addition to the school and home libraries. The book is available internationally on Amazon, Barnes and Noble and Crimson Cloak Publishing. Calling all the libraries, educators, mothers and avid readers to share the news. Pakistani educators, readers, and librarians must contact me personally for the details of the purchase. 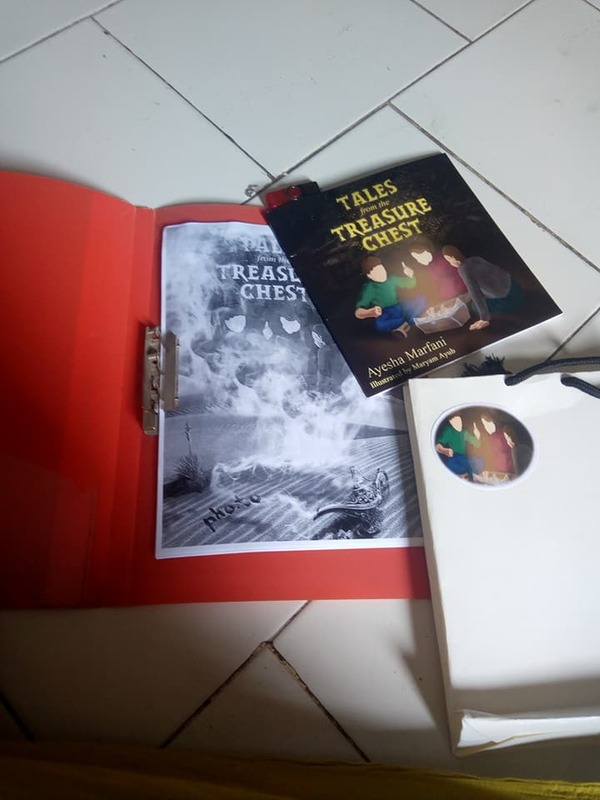 After the success of ‘Miss Never Pleased’ and ‘Tales from the Treasure Chest’, I am giving my readers a new surprise. It is a new title coming up. You will meet the characters that you haven’t heard of before so who wants to see this beautiful cover and tell me their feelings about it. 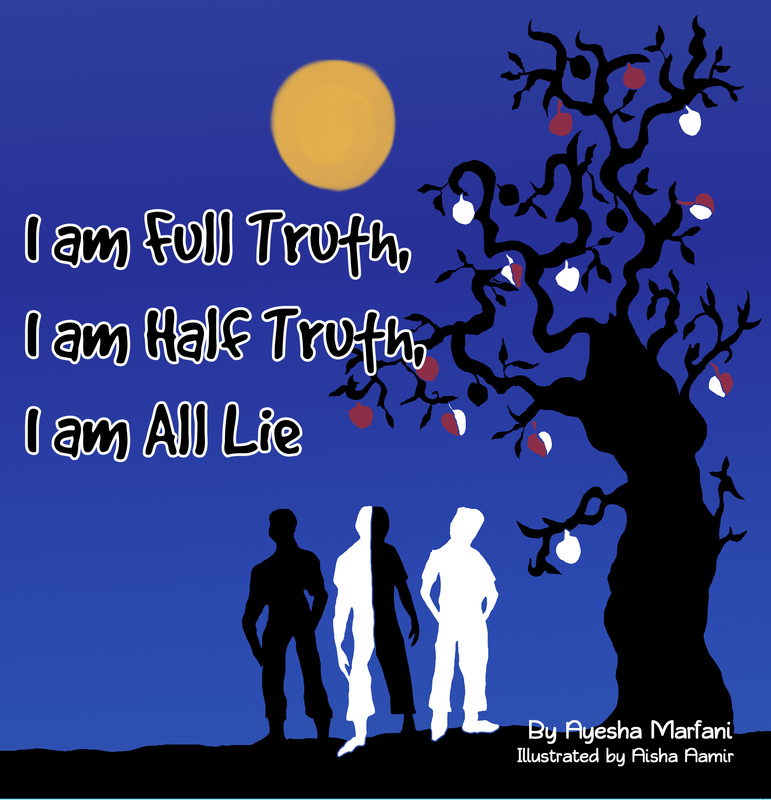 I am Half-Truth, I am Full Truth, I am All Lie is the story of three ordinary boys born to three reclusive brothers. 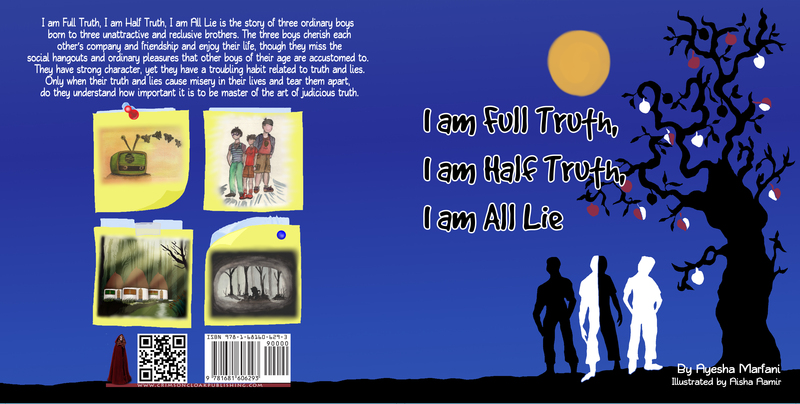 The three boys cherish each other’s company and friendship and enjoy their life, though they miss the social hangouts and ordinary pleasures that other boys of their age are accustomed to. They have strong character, yet they have a troubling habit related to truth and lies. Only when their truth and lies cause misery in their lives and tear them apart, do they understand how important it is to be master of the art of judicious truth. I am excited and want to know your thoughts on what this cover speaks to you. The good news is that “Miss Never Pleased” is available as the paperback. Miss Never Pleased is a character that you will remember for ages. Let’s sneak a peek into the story of her life. You will be able to relate to her and a lot of real-life characters will appear before you. Go get your copies now by clicking the following link. For people residing in Pakistan, Amazon shipping is very expensive so they may connect with me on ayeshahakeem1@hotmail.com to get their copy at cheaper rates. Exclusive prices are offered for libraries in Pakistan. Visit the following link to read the reviews of international authors, bloggers, and avid readers. I cant word my excitement on revealing this beautiful cover to you. The character is definitely new and you must have never read about her. 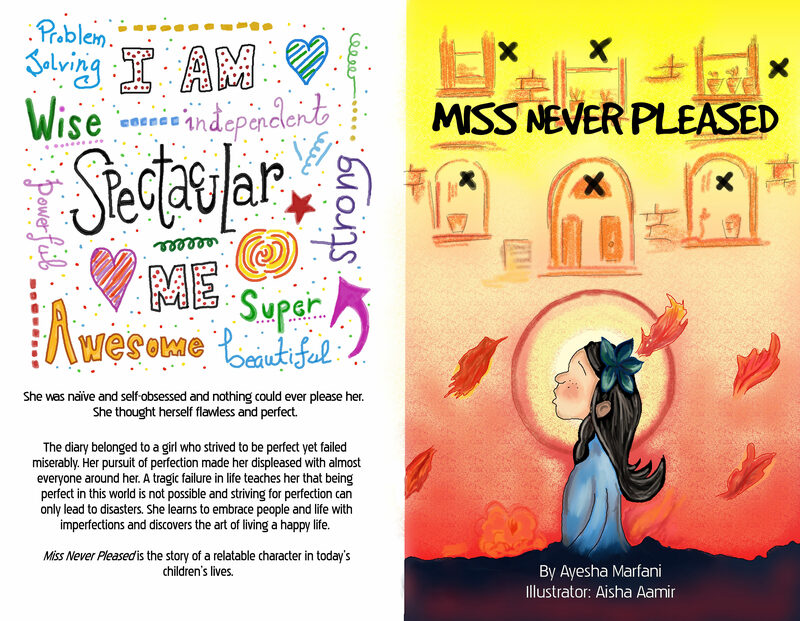 About the book: Miss Never Pleased is the story of a relatable character in today’s children’s lives. She was naïve and self-obsessed and nothing could ever please her. She thought herself flawless and perfect. 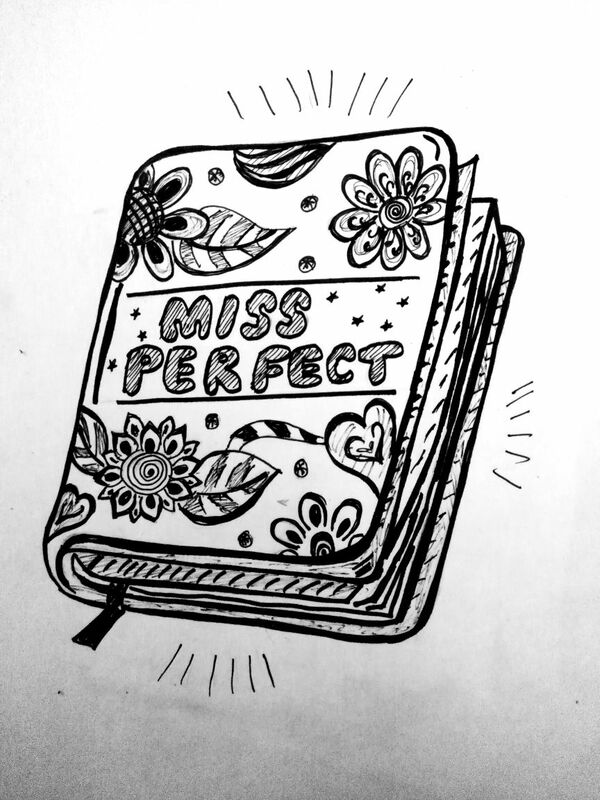 The diary belonged to a girl who strived to be perfect yet failed miserably. Her pursuit of perfection made her displeased with almost everyone around her. A tragic failure in life taught her that being perfect in this world is not possible and striving for perfection can only lead to disasters. She learns to embrace people and life with imperfections and discovers the art of living a happy life. 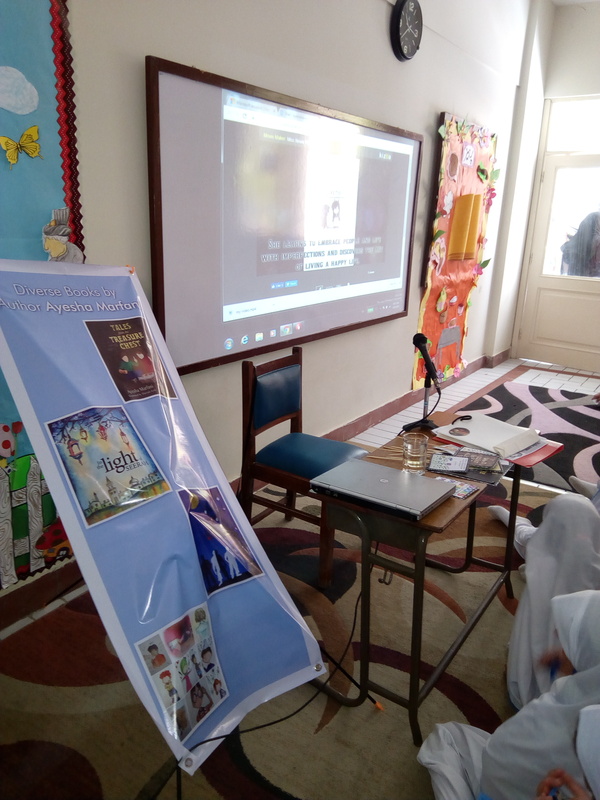 My second reading session at The Intellect School, Korangi Karachi. 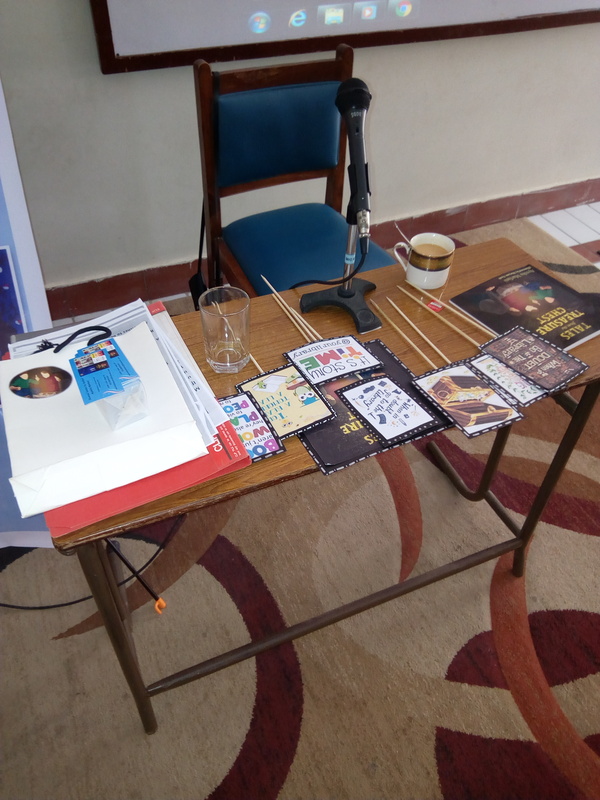 It was an amazing event and we had a perfect story time. The children loved the session and felt excited and spirited. 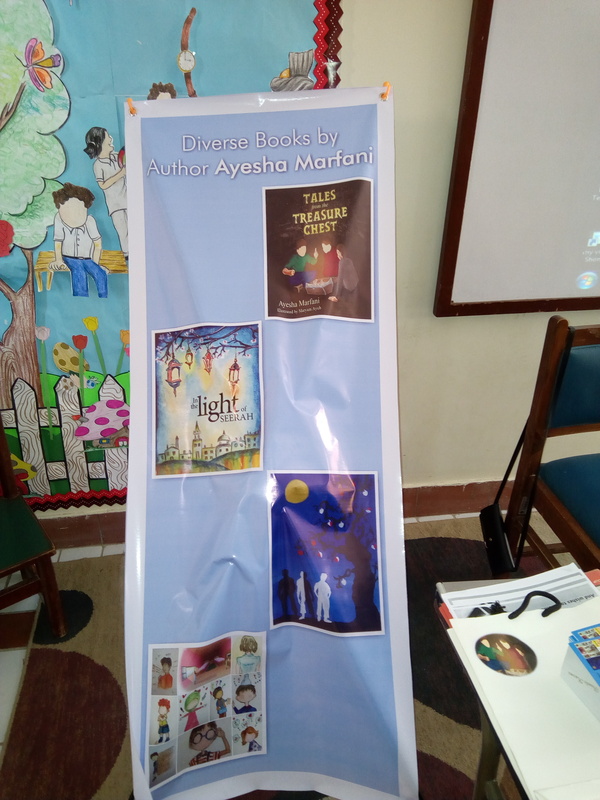 Thanks to The Intellect School, Karachi for arranging such a comfortable environment and supporting diverse authors. I am a words catcher. I catch the unspoken words and weave them to inspiring tales. 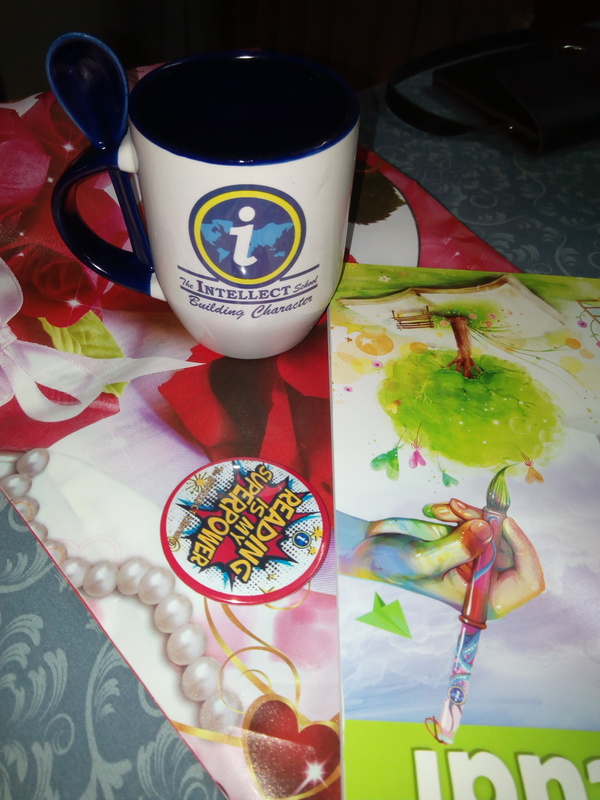 Read and enjoy amazing stuff and leave your reviews. Copyright © 2019 · WordsCatcher · All Rights Reserved.